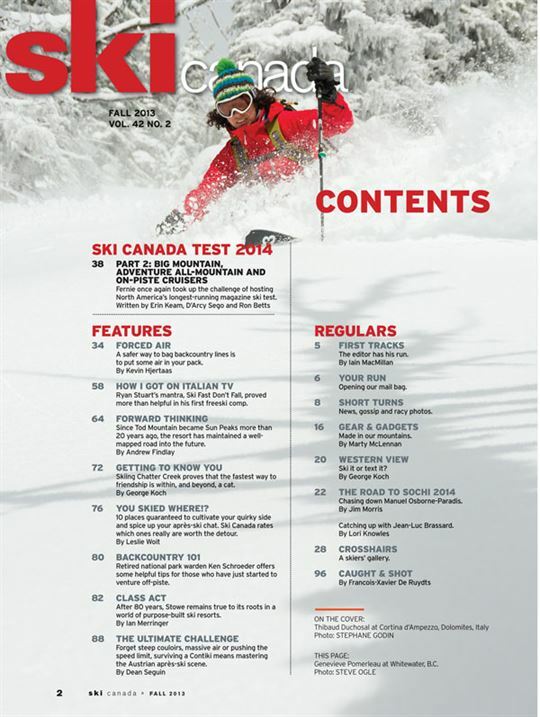 Fernie once again took up the challenge of hosting North America’s longest-running magazine ski test. A safer way to bag backcountry lines is to put some air in your pack. Ryan Stuart’s mantra, Ski Fast Don’t Fall, proved more than helpful in his first freeski comp. Since Tod Mountain became Sun Peaks more than 20 years ago, the resort has maintained a well-mapped road into the future. 10 places guaranteed to cultivate your quirky side and spice up your après-ski chat. 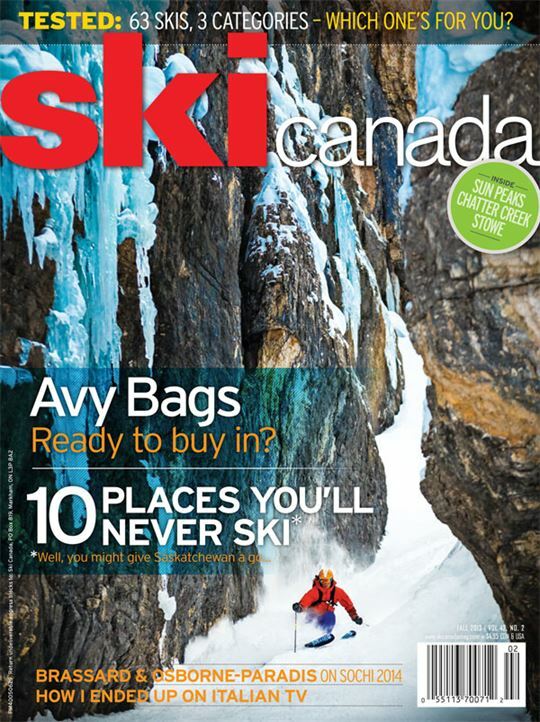 Ski Canada rates which ones really are worth the detour. Retired national park warden Ken Schroeder offers some helpful tips for those who have just started to venture off-piste. After 80 years, Stowe remains true to its roots in a world of purpose-built ski resorts. Forget steep couloirs, massive air or pushing the speed limit, surviving a Contiki means mastering the Austrian après-ski scene. The editor has his run. News, gossip and racy photos.